The government of Uzbekistan announced Friday that its president has died at age 78. Islam Karimov ruled Uzbekistan with an iron fist since 1989 when it was part of the Soviet Union. He had suffered a brain hemorrhage last Saturday, and rumors about his death had swirled ever since. 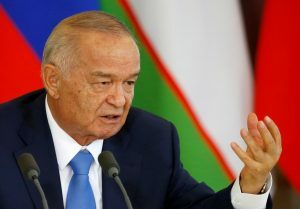 Karimov became president 25 years ago, as the Soviet Union was collapsing and the majority Muslim republic of Uzbekistan declared its independence. When then-Secretary of State James Baker visited Uzbekistan in early 1992, Karimov insisted he would embrace democratic and free market principles. But he resisted making any economic or political reforms. And he ruthlessly suppressed all dissent. Ten years later, after 9/11, Uzbekistan agreed to serve as a crucial hub for the U.S. military on the northern border of Afghanistan. U.S. Special Operation Forces launched missions from there. And the air base at Karshi Khanabad served as a major U.S. military transit point to supply forces in Afghanistan. The CIA also operated so-called “black sites” there, where al-Qaida prisoners where held and interrogated. Human rights organizations said hundreds were killed. After the Bush administration criticized the incident, the Karimov government shut down U.S. access to its bases. His repression drove some Uzbeks, mostly Sunni Muslims, to join militant Islamic groups like the Taliban. And according to one security consulting company, 500 Uzbeks had joined the Islamic State group in Syria and Iraq through December 2015. Arrangements for Karimov’s funeral were in full swing today in Samarkand, his home city, and will take place Saturday. 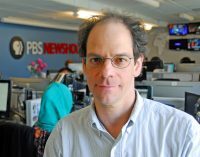 Ms. Warner is one of five senior correspondents who join Jim Lehrer on PBS's nightly news program - the PBS NewsHour - reporting on, and interviewing, the men and women who are shaping today's world.